The past year at work has been manic, to say the least. At One Dance UK I’ve worked in some capacity or other on three conferences, two national arts festivals, a fundraiser, a major organisational rebrand and a new website. Sometimes I look at the amount that I have done while there and I forget how little time I’ve spent there. But nothing stays the same and employment in the arts is always precarious so it is time to move on. I will be leaving in July and I’m looking forward to having some time off to travel a bit and work on some other projects. At the same time I’m a bit apprehensive about the possiblity of being out of work for a while and not knowing where exactly my next opportunity will come from. I spoke to a friend recently who has been freelancing for a while now. She said that we’re all freelancers, even those of us in long-term jobs. It’s the way that the economy and the job market are going. No one expects to work in the same job all their life anymore. Even if you’re a salaried employee, you have to always be on the lookout for the next thing. Even if you’re on a permanent contract, there’s going to be an end date and a degree of uncertainty as to what comes next. The smart people learn to embrace that uncertainty and seek out opportunities. I think she’s right. My to do list has become so massive as to become frightening and unmanageable. Normally the standard wisdom is to break items down into smaller chunks that are easier to complete. This is great, except sometimes it makes me feel even more like I have too many things to do right now, which adds to my paralysis. Today I broke down and made a primitive Gantt chart. I figured that it works at work, so why not do it for my life? I initially called it the Gantt Chart of Doom, but then decided to think positively and called it the Gantt Chart of Successful Life Planning instead. This is either the best idea ever, or it is something that I will forget about shortly. We shall see. And if you know of anyone who’s looking for a totally awesome arts marketing professional who’s a good all-round generalist with experience in dance, theatre, music and film please do let me know. 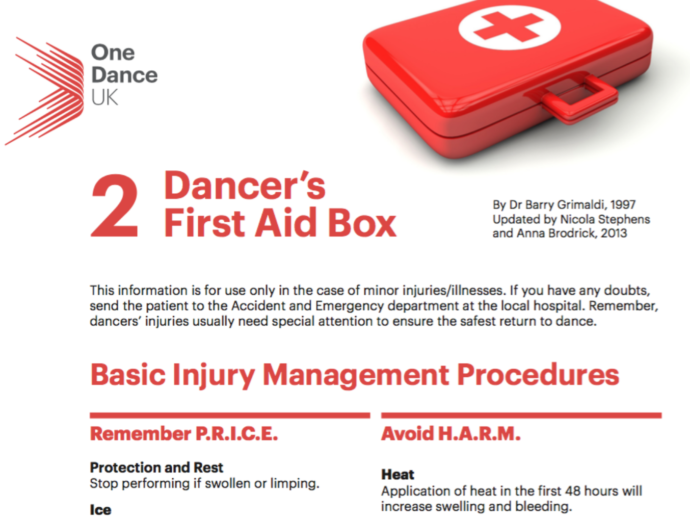 While at One Dance UK I redesigned Dance UK’s old info-sheets to fit the organization’s new branding.